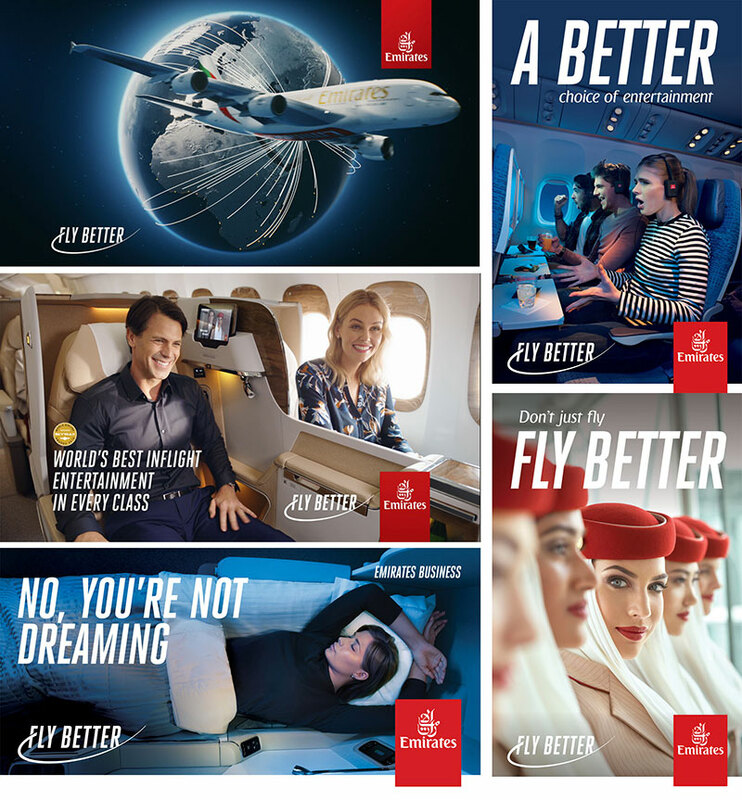 Emirates, one of the world’s most awarded airlines for its industry-leading services, invites global travellers to “Fly Better” with the launch of its bold new brand promise. “On 25 October 1985, Emirates flew its first customers from Dubai to Karachi. While the airline has grown exponentially since, our promise to customers remains unchanged – flying Emirates means enjoying a better flying experience,” said Sir Tim Clark, President Emirates Airline. “The drive to innovate and ‘be better’ is hardwired into Emirates’ DNA, and this enables us to deliver air travel experiences that are comfortable and enjoyable in every cabin class, time and again. Emirates was the first to introduce personal screens in every seat in every class, we led the way for better international telephone and Wi-Fi services onboard, we pioneered private suites in first class, brought bars and shower spas onboard, and we continue to introduce game-changing products like virtual windows. Now, we are affirming that superiority and inviting travellers to “Fly Better” with Emirates,” said Boutros Boutros, Emirates’ Divisional Senior Vice President, Corporate Communications, Marketing and Brand. The new Emirates campaign launches on 1 November with a snazzy ad spot that showcases the airline’s award-winning inflight entertainment system ice and its diverse offering. Directed by Michael Gracey whose previous work includes the hit musical ‘The Greatest Showman’, the ad spot takes viewers on a fantastical journey as a cabin crew member morphs into an energetic dancer – transitioning between different dance styles from Bollywood to Hip Hop, representing the superior and diverse range of content on ice. The spot ends with Emirates’ trademark light humour. A second ad spot that promotes Emirates’ extensive network of global destinations will run concurrently. This second ad takes us across the world to the tune of a catchy song composed specifically for the campaign. Taking viewers from the plains of Kenya to the Eiffel Tower and finally the iconic Burj Khalifa in Dubai, the ad is edited in a style that has now become Emirates’ hallmark, featuring seamless transitions between destinations and Emirates’ onboard features. The campaign was created in-house by Emirates’ head of brand, Richard Billington. The ice ad spot will debut on television from 1 November on the popular entertainment show ‘The X Factor UK’, and both ad spots will subsequently air across Emirates’ key markets across the GCC, in the UK, France, Germany, and the USA. The first “Emirates Fly Better” in-stadium branding will be unveiled at the Meydan racecourse in Dubai from 1 November, in time for the start of the racing season. This will be followed by global exposure via the on-field perimeter billboards at the much-anticipated Arsenal vs. Liverpool football match on 3 November. On 11 November, Emirates-sponsored team AC Milan will also debut Fly Better for the first time on their team jerseys, in their highly-anticipated Serie A match against rivals Juventus.